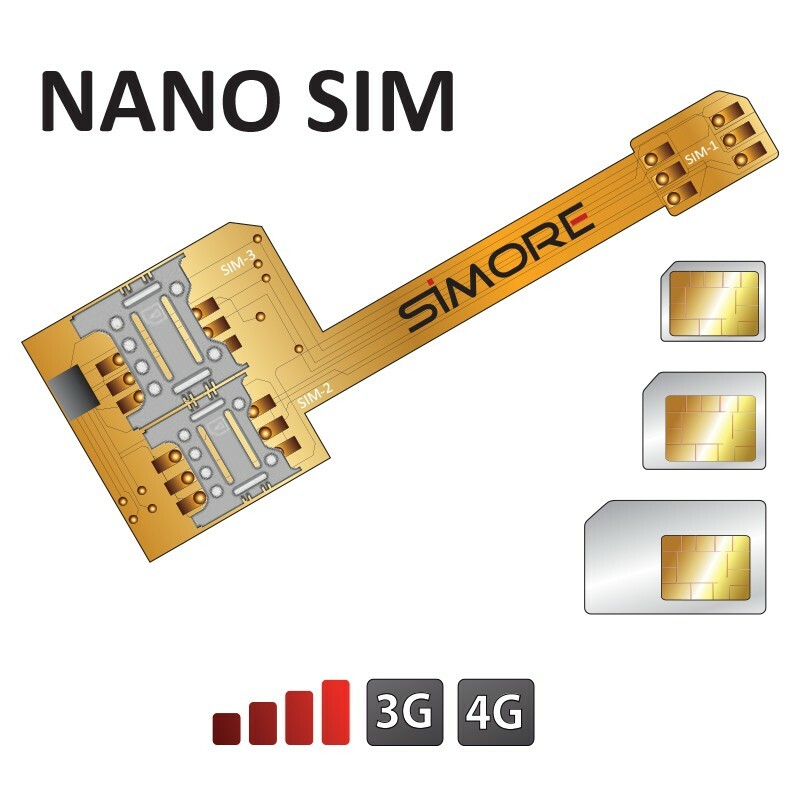 The X-Triple Nano SIM device is a triple SIM dualSIM card adapter which allows youto have three SIM cards (1x nano SIM, 1x micro SIM and 1x mini SIM) in your Nano SIM format smartphone. The Triple dual sim X-Triple Nano SIM adapter is very convenient for travellers, businessmen, or anyone who uses more than one SIM or phone number(professional SIM / private SIM / foreign SIM). Integrate and use three SIM cards in one single Nano SIM smartphone or tablet. Internet/data access with your 3 SIM.